Do You Have Unique Requirements? Satellite communications is a field of amazing possibilities. No one knows this better than Infosat. We’ve been helping our clients take advantage of exciting satellite possibilities since we been operations in 1986. In many cases clients came to us with never-been-done-before challenges and we created the solution. We’ve actually done a lot of solution inventing over the years. In the early days, there was no satellite-compatible, off-the-shelf network hardware, so we created it. When the Internet started to be used to transmit “phone” calls, several companies tried to adapt Voice over Internet Protocol (VoIP) service for satellite, but failed. Working with the giant networking equipment manufacturer, Cisco Systems, Infosat successfully tackled the problem and wrote the book on VoIP satellite technical standards. Today, VoIP is used on satellite phones all around the world. Do you need to transmit voice, data or video images from the ocean floor, deep inside the earth or some remote location? Do you need to consult with distant experts or feed data to supercomputers for analysis? Whatever the challenge you’re facing, we look forward to learning the details and putting our inventiveness to work. Contact us today to start the conversation. Are you trying to contact Infosat for technical support or to inquire about an existing account? Customer Support is provided 24/7 by Infsoat’s NOC at help@infosat.com or 1.888.524.3038. Account questions can be directed to AP@infosat.com or 1.888.524.3038. Infosat is a productivity catalyst for ROPOS (Remotely Operated Platform for Ocean Sciences). ROPOS is the ultimate remote control submersible for scientific exploration of the ocean floor. 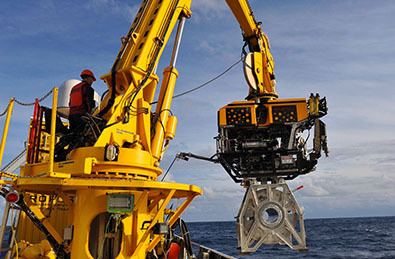 Equipped with high definition cameras, powerful lighting systems and agile robotic arms, ROPOS gives scientists a stunning, close up view of undersea topography and marine life. On months-long assignments at sea, ROPOS gathers vast amounts of data from its host of sensors. Infosat enables all that data and live video images to be streamed in real time to onshore scientists so they can provide a quick expert opinion or advise on what other areas of the search site need closer attention. With Infosat’s assistance, ROPOS transports leading scientists to the depths of the ocean floor without having to put on a wetsuit, leave their offices or spend weeks at sea.